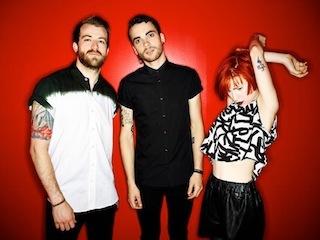 Paramore were recently featured on ABC's Nightline as part of their "On The Road" feature. The band gave the show a backstage pass to give viewers an inside look of the MONUMENTOUR and talk about their singles "Ain't It Fun" and "Still Into You" going Platinum and more. What are you waiting for? You can watch the video below. Remaining dates and ticket information for the MONUMENTOUR with Fall Out Boy can be found here.